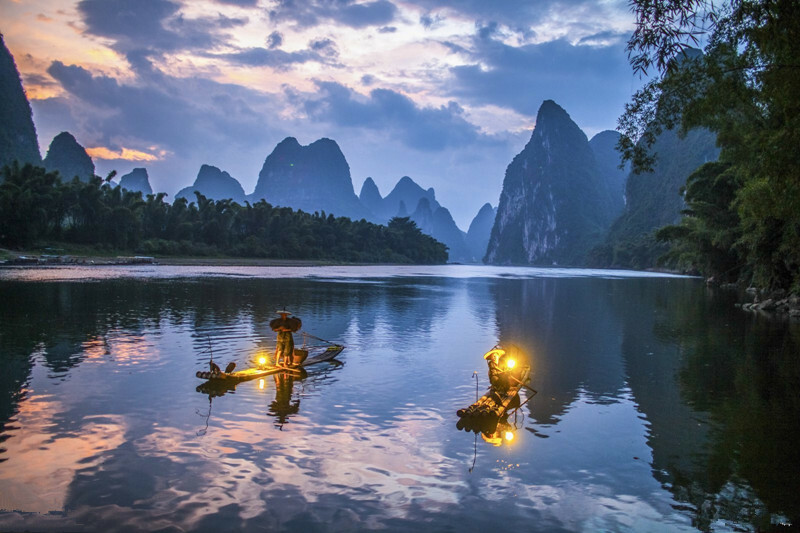 Located in the southern part of the country, Guangxi is bordered by Yunnan to the west, Guizhou to the north, Hunan to the northeast, and Guangdong to the east and southeast. It is also bordered by Vietnam in the southwest and the Beibu Gulf in the south. 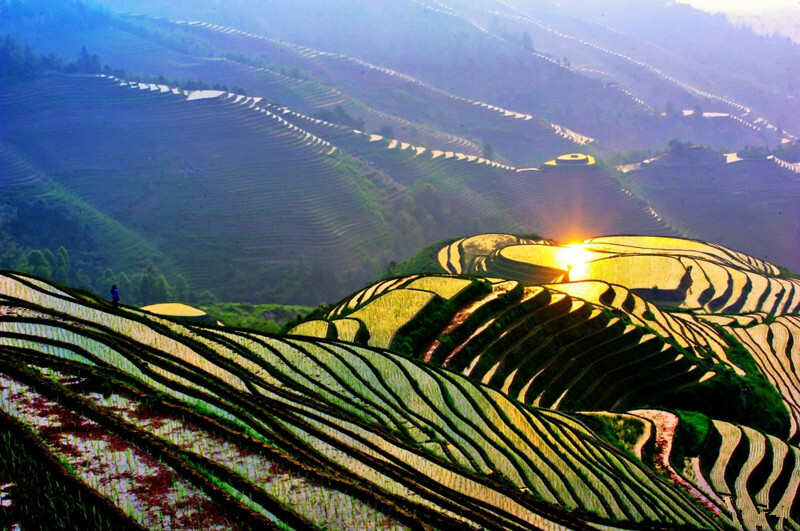 Guangxi is partly a mountainous region. 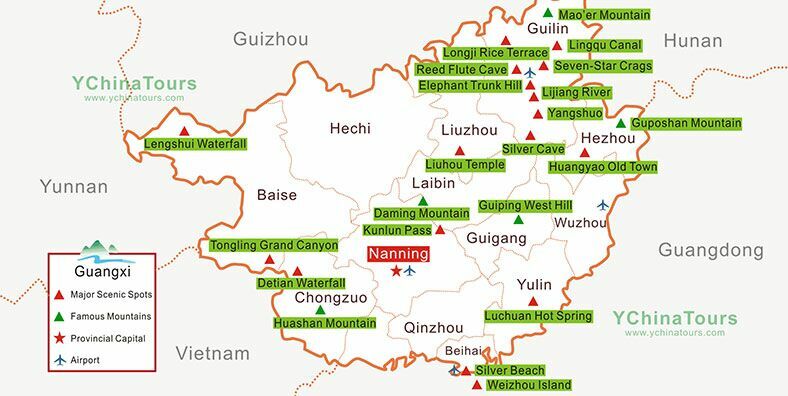 The Nanling Mountains form the north-east border, with the Yuecheng and Haiyang Mountains branching from them. 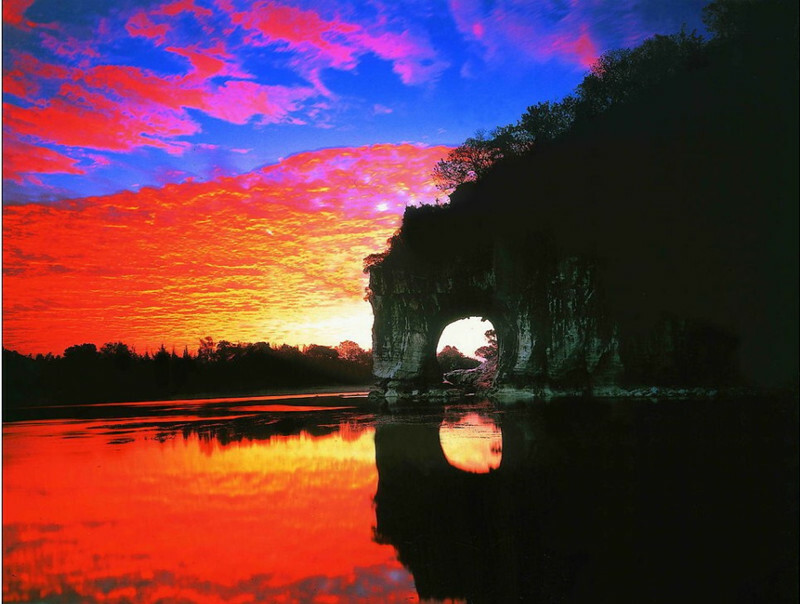 Characterized by spectacular landscapes, charming natural scenery and diverse ethnic customs, Guangxi Zhuang Autonomous Region is an impressive region to visit. Colorful Ethnic Culture: There are many ethnic groups dwelling in that area and they account for more than one third of local total population. Zhuang people are the main ethnic group in Guangxi, which accounts for 1/3 population. 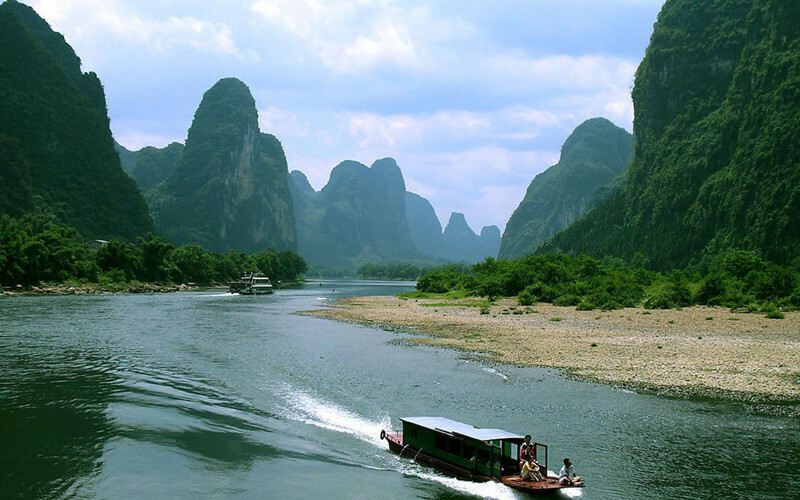 Li River Cruise: Yangshuo is the termination of the Li River Cruise. 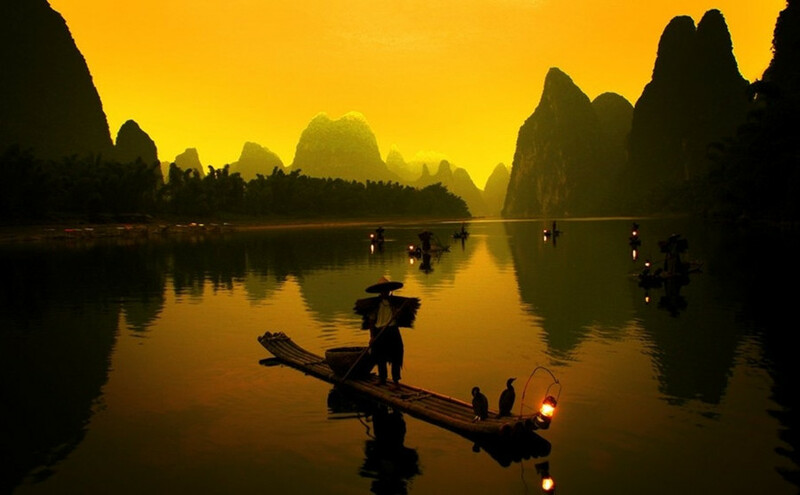 The magnificent Li River crosses Yangshuo County and forms the breathless natural scenery. No. 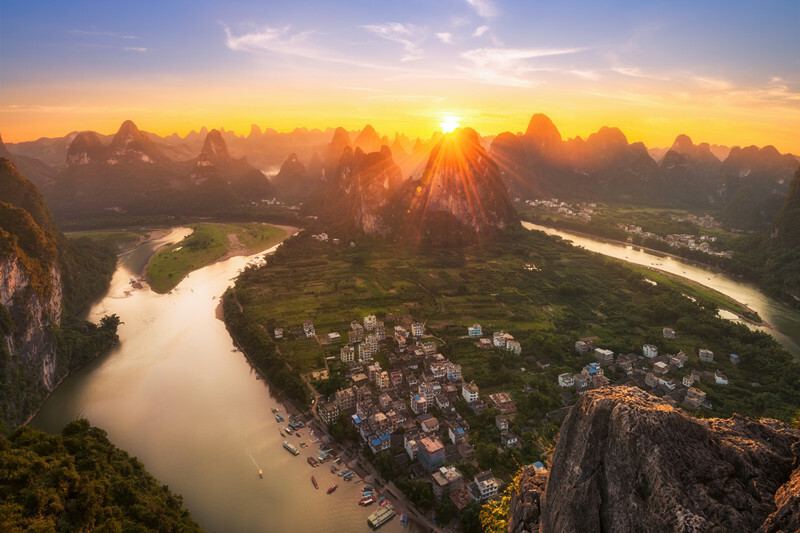 1 Scenic Spot under Heaven: “Guilin’s scenery is best among all under heaven, the scenery of Yangshuo is better than that of Guilin”. 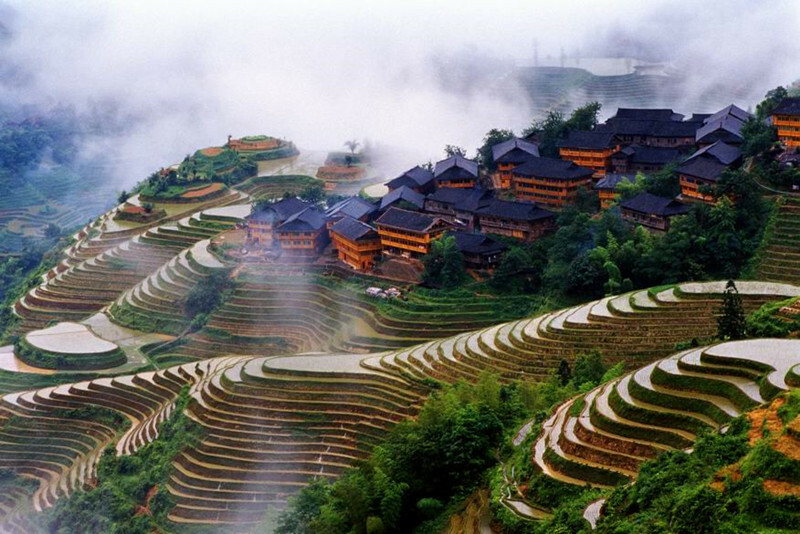 This famous Chinese saying well stresses the unparalleled beauty of Guilin and Yangshuo. Convenient Access to the South China Sea: Guangxi is located in the southern part of China, facing the Beibu Gulf on the South China Sea, which is the southwest China’s most convenient access to the Sea, and has a border with Vietnam to the southwest. Kingdom of Fruit: Guangxi produces a rich variety of traditional fruits such as bananas, lychees, and longans, as well as relatively new varieties such as oranges, passion fruits, and dragon fruits.